Type your username and password in the corresponding fields. You will get your login credentials from the Student Success Center (SSC). In case you forget your password, you are able to reset it. Just click the “Forgot Your Password?” link that is located at the Blackboard login page. You will be led in the IRM Helpdesk system. Click the Reset Password\Unlock Account link and the Reset Password option. Login to Blackboard Learn and visit the “Tools” module in “My Institution” tab. 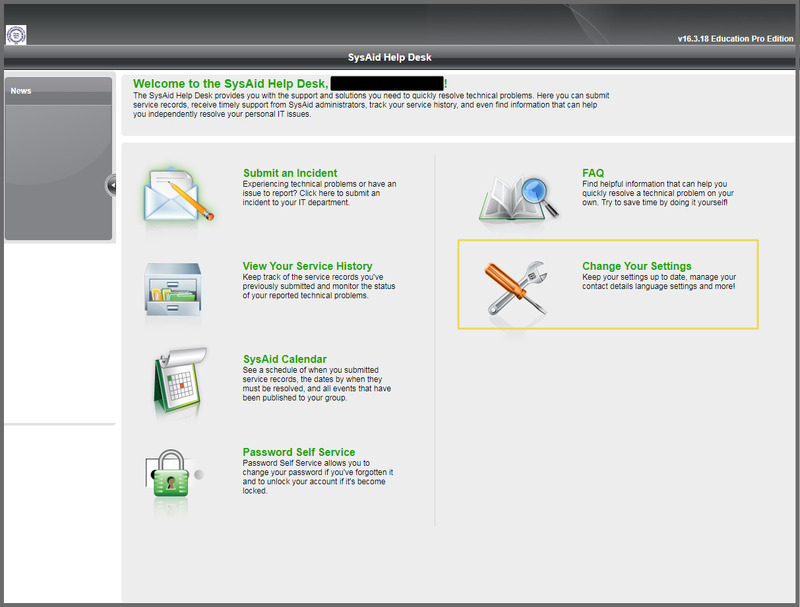 Click Personal Information > Change your password via IRM HelpDesk. Right click on this link to open in a New Tab/Window > Click the Reset Password\Unlock Account link to change your password. In case you forget your password, you are able to reset it by clicking the Forgot Your Password? link. You will be redirected to the IRM Helpdesk website. Click the Reset Password\Unlock Account. Type in your Username and leave the “ACGADMIN” in the domain Text field. You have to define security questions in order to continue with the password reset. If you haven’t defined the security questions and you can’t remember the password to your account, visit a computer lab and ask the lab supervisor to change it for you. Keep in mind that this procedure is not completed by the phone. For information about IRM Helpdesk and how to define the security questions please check below. Click Continue and follow the instructions on each page to reset your password. The IRM Helpdesk is ACG’s IT support system. It provides support and solutions to resolve ACG’s IT technical problems. With IRM Helpdesk, you are able to submit an incident so as to receive technical support, track your service history and find information that will assist you to resolve IT issues. 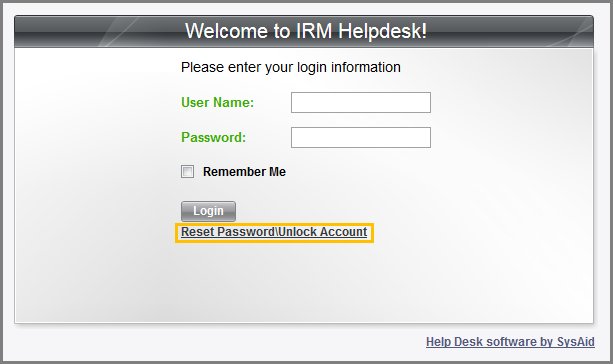 Visit the IRM Helpdesk web page to set up your user account. Fill in your pc credentials and click Login. Once you login you will see the following page. Click on Change Your Settings to setup your user account. 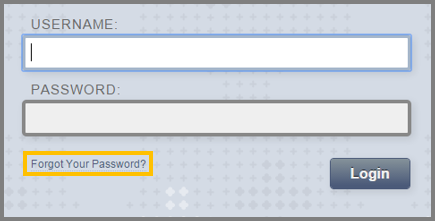 Scroll to the bottom of the page to proceed with information update for the Security Questions for Password Services. This is an important step because it will allow you to Reset/Change your password. Expand the list, select a security question and provide the information needed. Once you finish, a pop up window will request to enter your password. Fill in the respective fields and click Save. 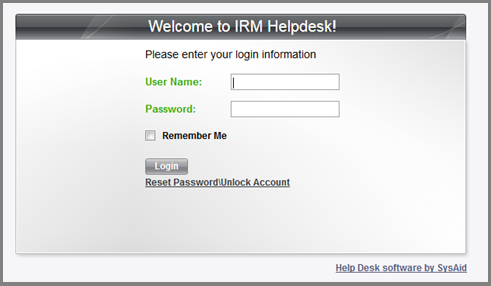 You have completed your IRM Helpdesk user account set up. “Open Global Navigation Menu” – located next to your name at the top right part of your page. It has replaced the My Places, Home, Help and Log-out options. Change your Personal Information, view your courses, and see your updates, Retention Center, posts by your instructors and the Calendar. “Log-out” – terminate your page in the Blackboard server. Always remember to LOG-OUT when you finish, so to deactivate your account. “Quick Links” – tool, located at the top left of your page. It allows you to navigate to any section or heading of your Blackboard Learn user account. “Keyboard Shortcuts” are also displayed. Bb Home Provides an overview of the items that are due for the students and recently grades. it displays the five most recent activities relevant to the student. My Calendar It displays any events, assignments or other obligations that are due and keeps users posted on their completion dates. Posts It demonstrates the latest posts in the courses you are enrolled. When a course participant in the same course you take submits a blog or wiki post you are able to view it. Updates It provides notifications and alerts on any update that take place in your course. For example, if your instructor has posted a grade for an assignment, the student gets a notification. My Grades From this page students are able to view their grades for each assignment, test, or activity in all of the courses they participate. the grades can be sorted by date or course. Home Leads back to the Blackboard Learn Login page. Help Leads to Behind the Blackboard for manuals, tutorials, and more. Select the Modules you would like to appear in My Institution tab by clicking the “Add Module” button and checking the corresponding boxes. Always remember to click “Ok” for applying your changes. Personalize your page from the “Personalize Page” button and alter the order of the boxes with the “Keyboard Accessible Reordering: Modules” button according to your preferences. The “Tools Module” (on the left part of the page). The “Job-Summary Panel” (on the right part of the page), which allows you to overview the jobs of the day, and consists of: “My Announcements”, “My Courses” and “My Tasks”. Under the My Courses area and the sub-area “Courses where you are: Student“, you will find all the courses you are enrolled for the specific Semester. Click on the link to enter the course you wish to view. Announcements Access all announcements that are, somehow, related to your account (i.e. institutional, courses). Calendar Access your personal calendar. Add personal events by clicking the + button on the top. Your calendar will automatically be updated by course events that are related to your account. Tasks Access your tasks. Add personal tasks by clicking the Create Personal Task button on the top. Your tasks area will be automatically updated by course tasks that are related to your account. My Grades View your grades for the courses that you are currently enrolled. Send Email Exchange email messages with other users currently enrolled in your courses. User Directory View brief information about the ACG’s Blackboard Learn users. Type the last name of the person you are looking for in the search engine and click Search. Address book Record your personal contacts. Click the Create Contact button on the top to add new information. Use the Search Engine to quickly find a certain contact. Personal Information Edit your personal information, change your password and specify which fields of your personal information should be available in public. Log-in and check your personal information and visit the Set Privacy Options area, so as to choose the areas of your Personal Information that will be public. Check the appropriate options for you and then check the List my Information in the User Directory option. When you finish, click Submit. Once you do that, your information will be published in the User Directory. To see your info, go to My Institution > Tools area > User Directory. Type the last name, or the username, or the e-mail address of the person you wish to find in the search engine and then click search. If the person has chosen his/her information to be available to public, you will see him/her in the results.